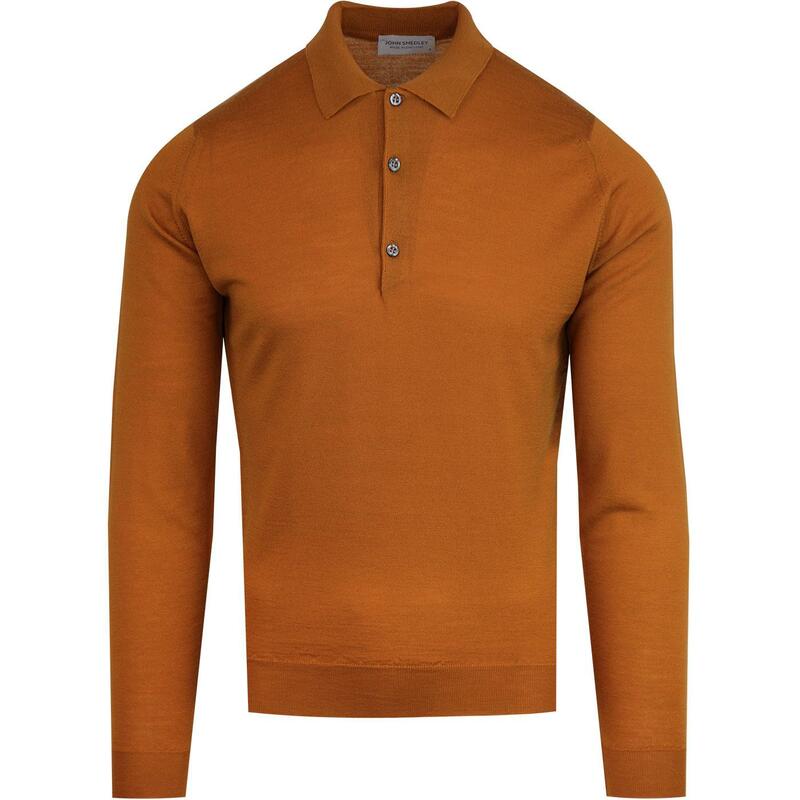 John Smedley 'Belper' men's 1960s mod made in England knitted polo shirt in striking bronze. 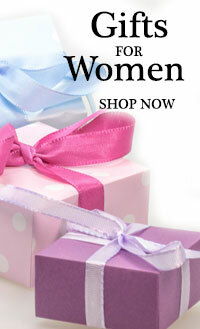 Crafted from finest merino wool yarn by the artisans at John Smedley. 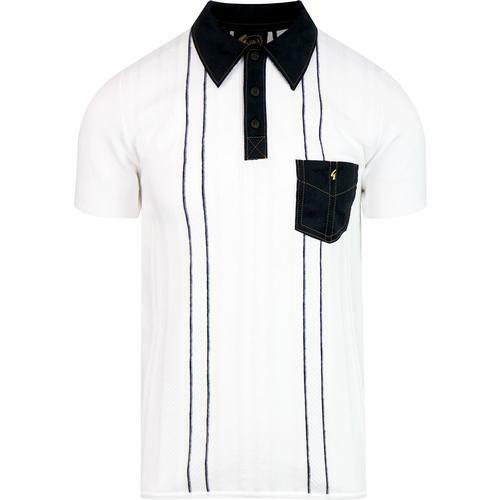 The 'Belper' knitted polo tops classic 3 button placket and fine ribbed trims ensures a clean and sharp look - exactly what you'd expect from John Smedley. 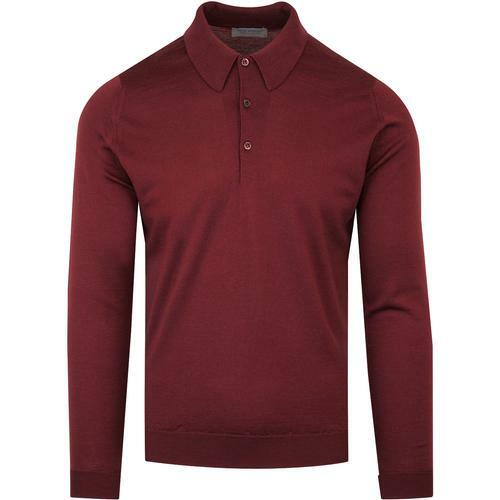 Showcasing a shorter collar than the John Smedley 'Dorset' polo top, the suave and sophisticated John Smedley 'Belper' style is sure to add a refined edge to your Mod ensemble. 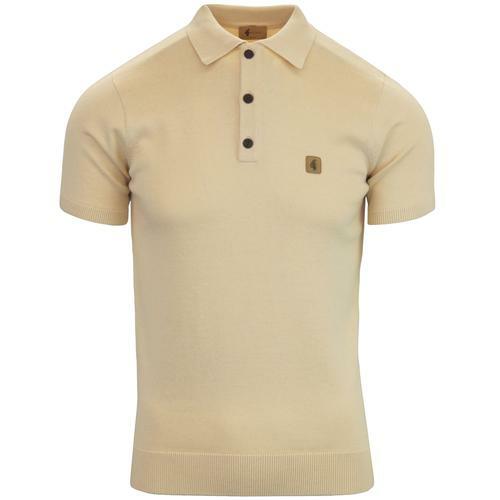 John Smedley 'Belper' men's 60s mod knitted polo shirt in bronze. 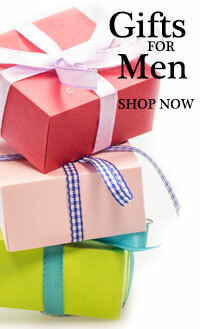 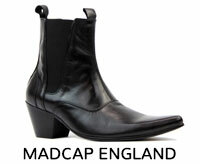 Fine ribbed cuffs and hem. 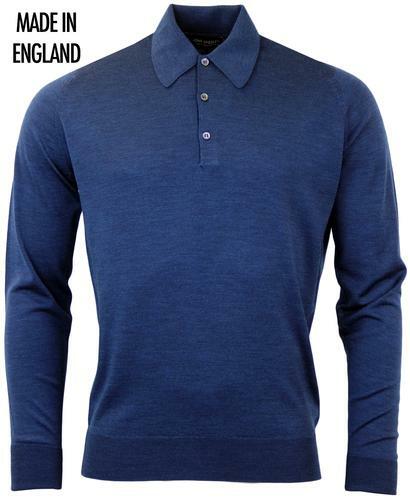 SKU: Belper Knitted Long Sleeve Polo Shirt.